It is time to upgrade your boring charging cable! 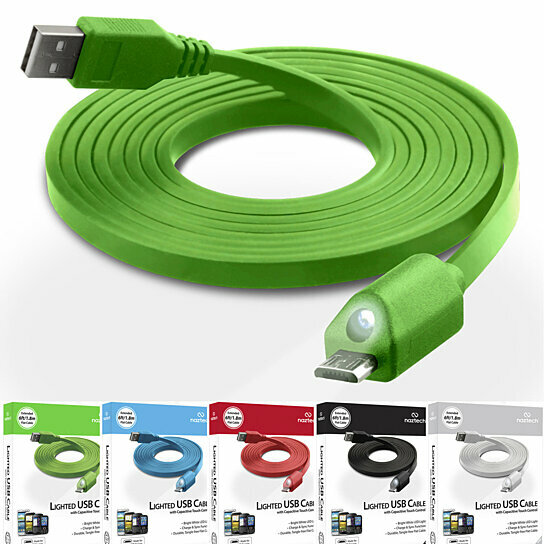 Energize your device with the Naztech innovative Lighted USB Charge & Sync Cable. Its unique LED light operates by touch control, conveniently allowing you to find your charging port in the dark or in any low-light conditions. Put the power where you need it!